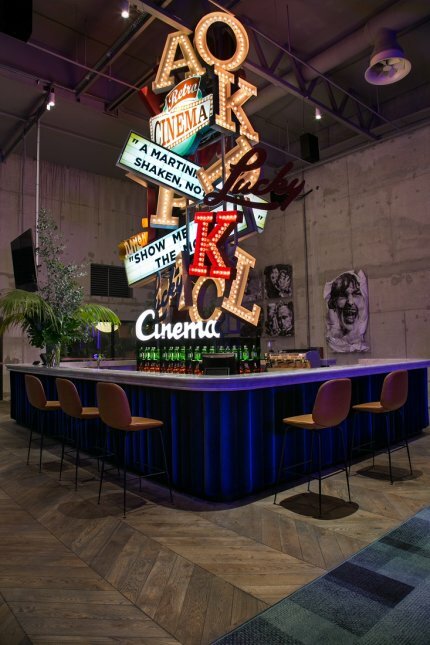 Kaptol Boutique Cinema & Bar – an original concept of movie theatre in Croatia – officially opened this February in Zagreb. But what makes this new CineStar cinema different to others in Croatia is in the ‘detail of the design, atmosphere, personal service, film programme, artistic ambiance and custom staff uniforms signed by our Alex. Lei Lou for Cinestar uniforms consist of classical black and white pieces with a twist that makes them wearable and cool at the same time.